Holden has welcomed long-time rival Ford’s return to Supercars in an official capacity with a cheeky vow to beat its incoming Mustang. Ford on Tuesday announced it will become an active player in the Virgin Australia Supercars Championship again next year, complete with a new model to replace the Falcon. Leading squads DJR Team Penske and Tickford Racing will develop a Mustang to take to the grid in 2019, in partnership with the global Ford Performance arm. 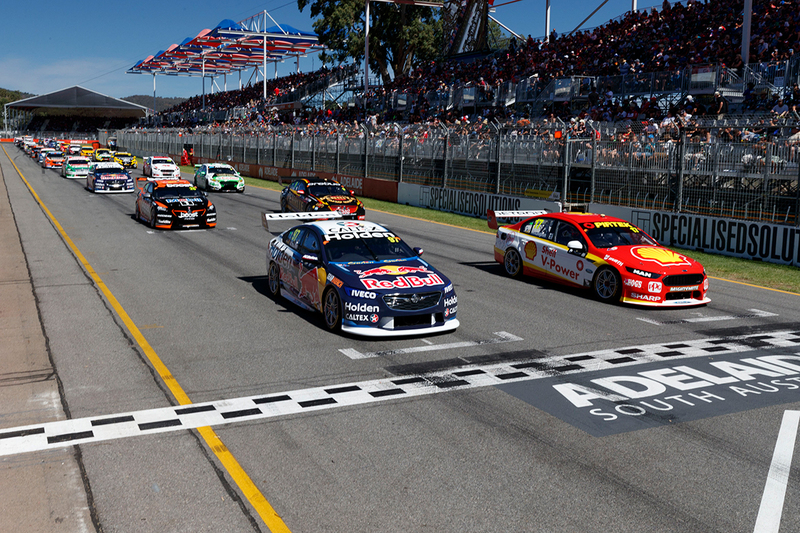 The rivalry between the brands has been a centrepiece of the Australian Touring Car Championship dating back to the 1960s, and continues in contemporary Supercars. While Ford stepped back at the end of 2014, Holden has continued its involvement and this year introduced its new ZB Commodore. Noting the success of the new-generation Commodore, Holden’s recently-appointed Executive Director of Marketing Kristian Aquilina has thrown down the challenge to Ford and its Mustang. “It’s a legendary rivalry on the racetrack, so bring it on,” Aquilina said. “The all-new Commodore has won seven of the eight Supercars races this year and Ford’s re-entry is only going to push our teams even harder and make our race cars stronger as we look to take plenty more silverware from our rivals. Holdens fill eight of the top 10 places in the 2018 standings ahead of this weekend’s WD-40 Phillip Island 500, led by 2017 drivers’ champion Jamie Whincup. While Holden has 537 ATCC/Supercars race wins on the board over Ford’s 351 since 1960, Ford has the upper-hand on titles, 24 to 21.